Structured voice and data cabling systems are the core of every network infrastructure. BW Communications has the experience to build a world class communications infrastructure for your business. We offer integrated voice and data wiring installations for business computer networks, data centers and VoIP phone systems. 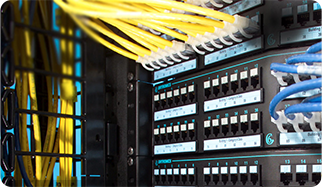 BW Communications Inc is dedicated to offering certified professional data, voice and video services including the consulting, estimating, design, engineering, installation, certification, and maintenance of structured cabling networks. Our technicians are extensively trained on the latest Fiber Optic termination methods. We ensure our customers are delivered the highest quality premise wiring network available to current specifications. BW Communications Inc employs technicians that are certified by many different manufacturers. We meet and exceed BICSI® standards for premise wiring and provide test and certification documentation for Fiber Optic, Category 5e, 6 and 6a. We provide a lifetime warranty on structured cabling networks, plus 24-hour service and service contracts are available. Our services include Cable Management, Coaxial Cabling for CATV and CCTV, Consulting/ Estimating/Design/Engineering, High-count Copper and Fiber Feeds, Installation and Repair, Moves, Adds and Changes, Single-mode and Multi-mode Fiber Optic Wiring for Horizontal, Backbone and Outside Plant, Testing and Troubleshooting, UPS Systems, and Voice and Data Cabling, 5e, 6 and 6a. Ensures your cabling project will be completed on buget, on time, and with the highest quality standards. Includes test performance and certification measurements. Simplifies maintenance and reduces costs to upgrade or make network changes.